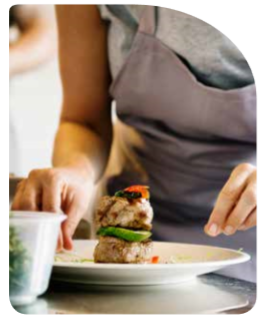 This course is aimed at those who are interested in pursuing a career in the catering and hospitality industries. Students will be immersed in a wide range of specialised areas related to professional kitchen operations. This one-year programme qualifies graduates to seek employment in hotel, catering and hospitality industries. Students may also progress to further study at QQI level 6 or Higher Education Colleges at QQI level 6 or Higher Education Colleges.